The recently completed Lake James State Park Paddy's Creek Development is the first phase development of the newly purchased 2,915 acre expansion of Lake James State Park in Burke County. 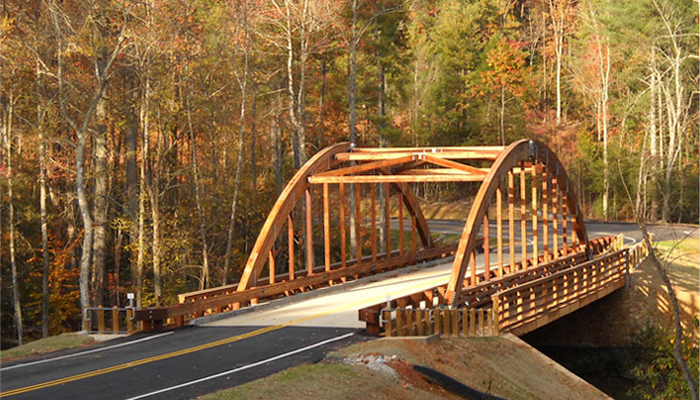 It includes a new 2 mile entrance road with pedestrian bike lanes and includes a wood arched vehicular and pedestrian bridge across Paddy's Creek. The bridge is designed and oriented to form a framed view of the lake as you enter the park.